Born at Souris on 16 May 1900, oldest of six children born to Samuel Henry Forrest and Grace Helena Woodhull, she graduated from the Manitoba Law School in 1920. She practised for a time in her father’s law office in Souris then, in 1923, she went to assist her maternal grandfather, T. B. Woodhull, as Secretary-Treasurer of the Rural Municipality of Cameron and Town of Hartney. In 1929, she took over from him in these positions, serving until 1939. She was admitted to the Manitoba Bar in 1935. Forrest regularly attended annual conventions of the Union of Manitoba Municipalities, first in 1930, and she served as Secretary-Treasurer, Vice-President and President of the Manitoba Municipal Secretary-Treasurers Association. In 1939, she became Secretary-Treasurer of the Rural Municipality of Old Kildonan. Eight years later, she took over from Nan Moulton as Editor of the monthly magazine Western Municipal News, a position she was to hold for the next twelve years. She was a member of the University Women’s Club of Winnipeg and the Women’s School for Citizenship. 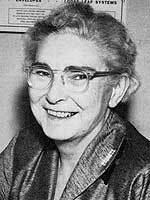 In 1951, she was appointed to the Board of Governors for the University of Manitoba. She retired from her editorship in 1959 and became Secretary-Treasurer for the resort community of Dunnottar on Lake Winnipeg, later (1965) joining her brother H. W. Forrest in a joint law practice at Souris. She died at Winnipeg on 7 October 1992. This profile was written by Gordon Goldsborough.